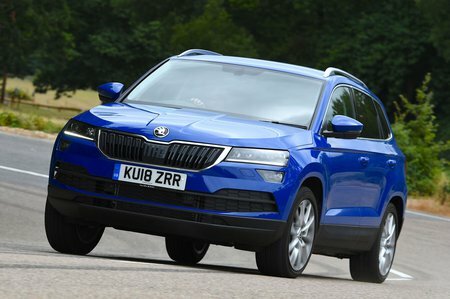 Skoda Karoq Scout Review and Deals 2019 | What Car? Based on SE L trim, Scout adds a few distinctive off-road inspired touches that draw attention to its standard fit four-wheel drive and underbody protection. Although you also get an electric tailgate, panoramic roof, wireless network and special brown upholstery, its 19in wheels don’t do the ride any favours. And because you can only have four-wheel drive with the most powerful of the petrol and diesel engines, it’s expensive to buy.